We offer a full line of MDI CPR Masks, Laerdal CPR as well as offering a large selection of Laerdal CPR Manikins and AED Manikins to complete your companies CPR/ AED Training course. Our CPR Masks are designed to offer quick response in case of an emergency as well as to protect the rescuer with a one way valve creating a barrier between the victim and rescuer. Laerdal Manikins offer a full line of manikins to meet your training needs. Our line of Laerdal CPR Manikins include Resusci Anne Manikin, Little Junior Manikin, Baby Anne Manikin to the more advanced Resusci Anne Skillguide CPR Manikin. Our line of training manikins include Ultimate Hurt Manikin, Tuff Kelly Manikin, Extri Kelly Training Manikin, and Crash Kelly Manikin to assist in training for rescue to first aid training at your facility. Our Portable Oxygen Tanks by Life Oxygen offer solutions for emergency situations. Each Life Oxygen Tank come complete with a full cylinder and face mask. These Life Oxygen Tanks are the ideal companion to your AED unit. The portable oxygen tanks we offer have simple on/off supply gauges as well as more advanced for the EMS personnel. All of our portable oxygen tanks are refillable. Life Emergency Oxygen Pacs meet or exceed all government and FDA requirements. They are non- prescription devices for emergency use. AED's are an essential part of performing first aid immediately to a victim of sudden cardiac arrest. We offer AED units, as well as AED Trainers, AED Battery, AED Pads and AED Cases to meet your needs. 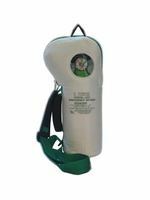 Easy-to-use portable Emergency Oxygen and CPR administration equipment will assist you in case a first aid emergency occurs at your business. These CPR shields are the perfect tool to use for training employees in the proper way to handle first aid emergencies where CPR Masks are needed. It is important to ensure that all employees understand how to perform CPR and the importance of knowing basic first aid skills.